Some users have access to multiple programs in Aqueduct. You can switch between these programs easily to run your administrative duties. 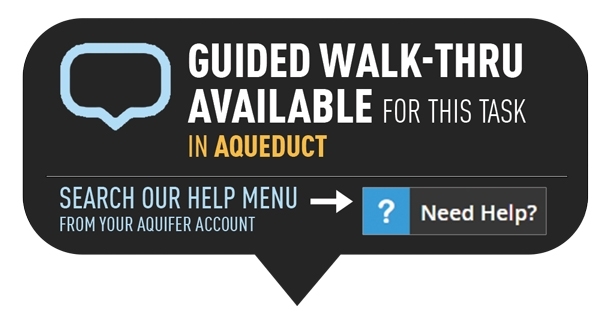 1.Go to Aquifer.org and click Sign In in the top right corner. 2. Click on the Programs link in the top navigation bar. 3. You will then see a list of all of the programs you have access to. Click on the program you would like to access.